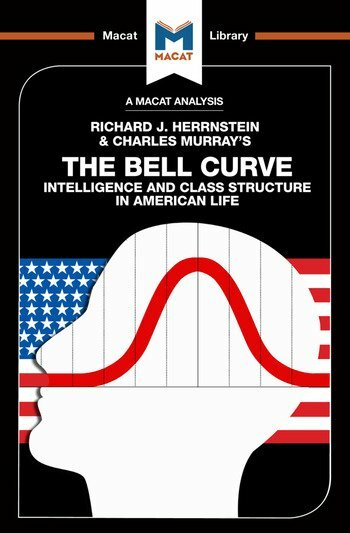 Herrnstein & Murray's The Bell Curve is a deeply controversial text that raises serious issues about the stakes involved in reasoning and interpretation. The authors’ central contention is that intelligence is the primary factor determining social outcomes for individuals – and that it is a better predictor of achievement than income, background or socioeconomic status. One of the major issues raised by the book was its discussion of 'racial differences in intelligence,' and its contention that there is a link between the low observed test scores and social outcomes for African-Americans and their lack of social attainment. While the authors produce and interpret a great deal of data to back up their contentions, they ultimately fail to tackle the problem that neither 'intelligence' nor 'race' have widely accepted definitions in biology, anthropology or sociology. In consequence, the book has been termed both ‘racist’ and ‘pseudoscientific’ thanks to what its critics see as both its faulty reasoning and its uncautious interpretation of evidence. The debate continues to this day, with academics on both sides engaged in fierce arguments over what can be argued from the data that Herrnstein and Murray used. Dr Christine Ma received her Ph.D. in Social Psychology from the University of California, Santa Barbara in 2011. She was then a postdoctoral fellow at Harvard University in the Psychology Department and the Harvard Kennedy School. She is currently an Assistant Professor of psychology at the Univeristy of Laverne, California. Michael Schapira is an associate professor at the The School of Computer Science and Engineering, the Hebrew University of Jerusalem.